Welcome to our online shop. 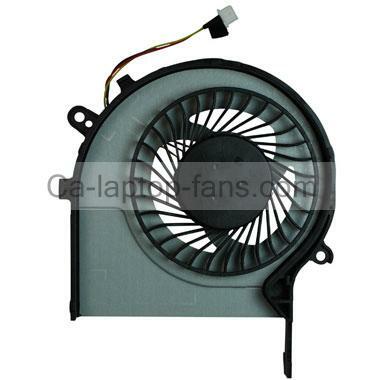 This cooling fan for Toshiba Satellite P50-c CPU is brand new, high quality and six months warranty. Please check your original fan and compare it with our listing photo to ensure that this is the item you need. Note: Using your laptop model and fan part number is not sufficient basis to identify the correct replacement because they might have different appearance, screw alignment, pin connector and might not work at all series. It would be better to remove your current fan from your laptop and compare it with the picture contained within the listing. We ship to worldwide by registered air mail for free. It usually needs 7 to 12 business days to deliver to Canada and takes 7 to 20 business days to other countries. In addition, we can also send the package to worldwide via express shipping at the same fee. Items are usually shipped out within 24 hours during the business days after payment has been received(Sat. and Sun. excluded). We will send a confirmation email to you(about the product info and shipping address etc). After the package be sent out, you will receive an email to show you the tracking info. All our products have been inpected and packaged in good condition before shipped out. We offer six months warranty for all the laptop fans from the purchase date under normal use(excluding general wear and tear, damaged and/or misused). We are accepting payments from all major credit cards via PayPal.